Whoa! 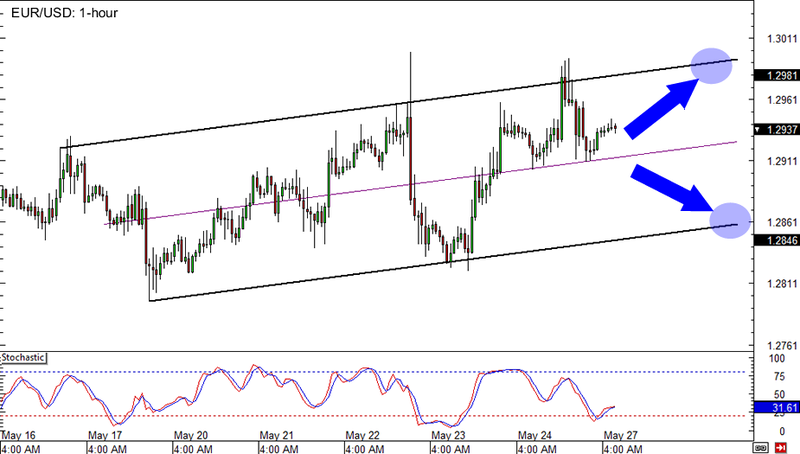 Check out EUR/USD making higher highs and higher lows, forming what looks like an ascending channel on the hourly timeframe. Will we see the pair continue to trend up? Maybe. It looks like it just bounced off support in the middle of the channel. I wouldn’t be surprised if it soon tests 1.3000 again. But be careful okay? 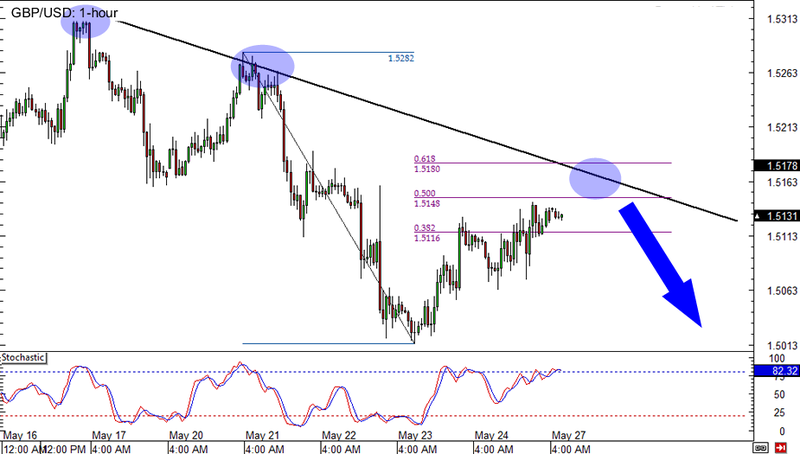 Reversal candlesticks could mean that EUR/USD would soon drop below 1.2900. Are you a fan of Fibonacci retracement plays? Well, this may just be your lucky day! On the hourly timeframe, we see that Cable has been slowly creeping back up the charts and could soon pullback to the 61.8% Fib level and test resistance at the falling trend line. If the level holds, the pair could drop down to 1.5000. But if it doesn’t, we could see the pair skyrocket up to around 1.5250! Do you see what I see? 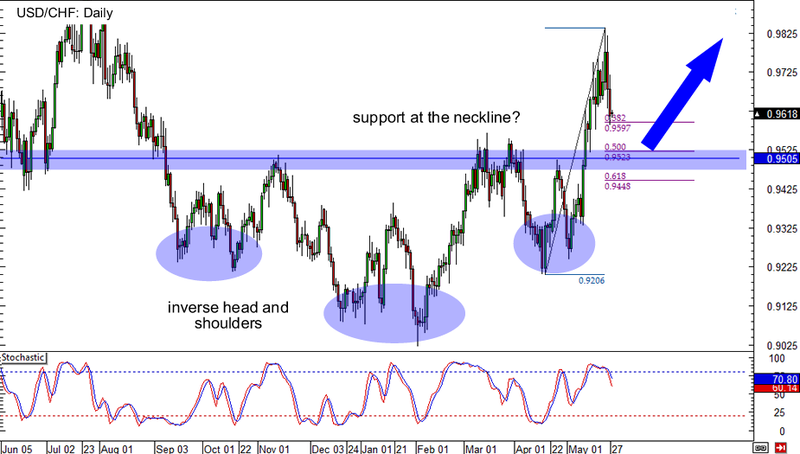 On the daily timeframe, we see that USD/CHF could soon test support at the neckline of the reverse head and shoulders which coincides nicely with the 50% Fib level. Will it hold? Let’s give it a few days. Watch out for reversal signals around .9500 as they could hint a continuation of the uptrend!